Jaeco is a New Zealand owned and operated Family business specialising in window hardware for wooden joinery. They also offer a wide range of bathroom accessories and disability support product. Here at Jaeco we take great pride in our ability to back up our quality product range with knowledgeable and friendly support along with workmanship and defect guarantees. As we were already looking after Jaeco's recent re-brand, the decision was made to incorporate the new design into a new CMS driven, responsive web platform. 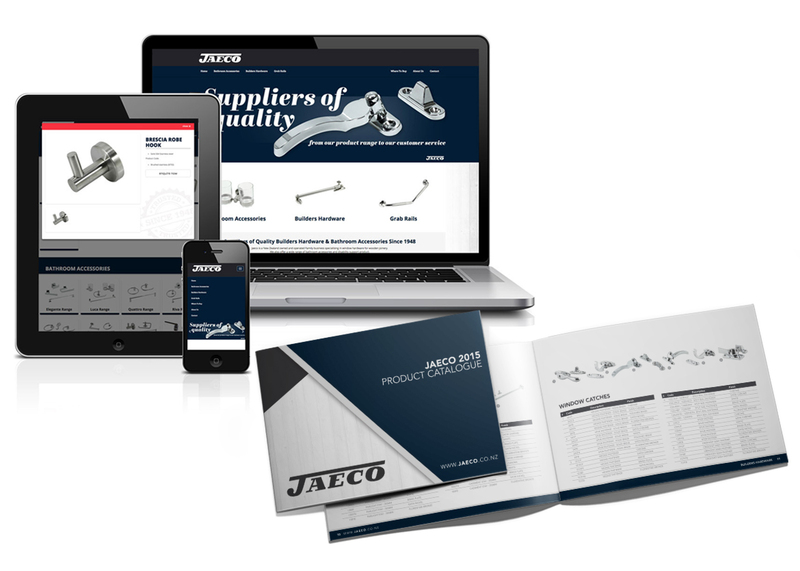 Jaeco needed a solution that would allow them to display and manage their multiple product lines, we looked after everything from photography to content management, copy writing and domain management.